The Most Cash Gold Loans Mesa Has to Offer! 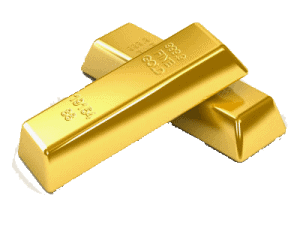 As the top pawn shop Mesa has to offer, our gold loan services are top notch and comparable to none. Our associates have been in the industry combined for decades, and are the best you’ll find when it comes to getting loans on your gold and gold jewelry. Gold loans are one of the fastest ways in Mesa, Tempe, and Chandler to put hundreds of dollars of cold, hard cash into your pocket. The inspection and overall valuation can take as little as five minutes when dealing with professional employees at Oro Express Mesa Pawn and Gold. While quick, we’re also thorough to ensure that our customers are getting the most cash gold loans the valley has to offer. Keep on reading to discover why Oro Express Mesa Pawn and Gold is able to pay the most cash for gold jewelry, coins, and bullion in town. While pawn loans are meant to be a quick way to get cash (and they are), there’s a certain degree of thoroughness that should also be maintained if you expect to get the most cash possible from your gold. When you bring your gold down to our store, our employees are trained to perform a very detailed physical and visual inspection in order to accurately gauge both the quality and purity of the gold items. On top of this, Oro Express Mesa evaluates both our competitor pricing as well as the global trading price of gold on a daily basis to ensure we’re at the top of the market. This is to ensure that as our customer you’re not only getting the most cash possible in Mesa, but also the fairest amount possible. Gold prices swing all the time, and if you’re securing a loan based on old information, you’re most likely missing out on extra cash. On top of having the most cash per gram prices, our associates are experts who have been in the business for years upon years. Having dealt with just about every kind of gold jewelry, they’re experts in testing the purity of your gold (which can vary from 10 kt to 24 kt, or ~40% to ~99%) and not blindly trusting the stamp found on gold jewelry. Customers are often surprised to find out that while their jewelry may be stamped 10 kt, our testing revealed it is 12 kt representing a fairly significant difference. Our cash offers are second to none, and we’re happy to offer free gold loan quotes to any customers in Mesa, Tempe, or Chandler seven days a week. No matter whether you’ve gold jewelry, gold coins, or gold bullion on hand, you can ensure that Oro Express Mesa Pawn and Gold is loaning you the most amount of cash in town. A large fear that many gold loan customers have is that the precious gems in their gold jewelry will be underrepresented or simply not paid for when getting loans on their gold. The fact of the matter is that many pawn shops simply don’t employ diamond or other gem experts meaning they ignore them altogether when placing a value on your gold or diamond jewelry. Fortunately, Oro Express Mesa is here and ready to help. All of our managers go through a rigorous diamond course taught by a GIA-certified expert to ensure they’re able to properly valuate and loan on diamond and gold jewelry. We prepare two separate loan amounts for the gold and the diamonds, and ensure your gold jewelry loan reflects that end value. 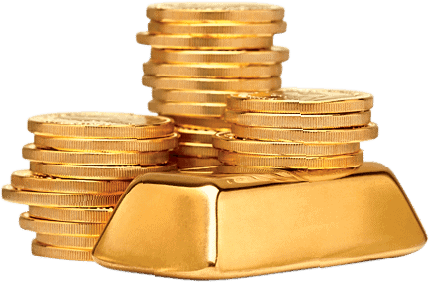 Located in Mesa we are a leader in lending cash on gold. We specialize in gold. No one loans more cash than we do on gold, jewelry, estate jewelry, or damaged items – guaranteed. So the choice should be clear by now — if you’re looking to get a loan on your gold jewelry, or your diamond jewelry, Oro Express Mesa Pawn and Gold is the only place to visit in Mesa, Tempe, and Chandler. Open seven days a week, we’re happy to provide free quotes no matter if you’re hoping to sell or pawn gold. We’ve been helping the residents of Mesa secure quick and fast cash loans, and will remain here for years to come. Come visit us today for a free quote on your gold jewelry loan.